Every Arrested Development fan knows there's always money in the banana stand. 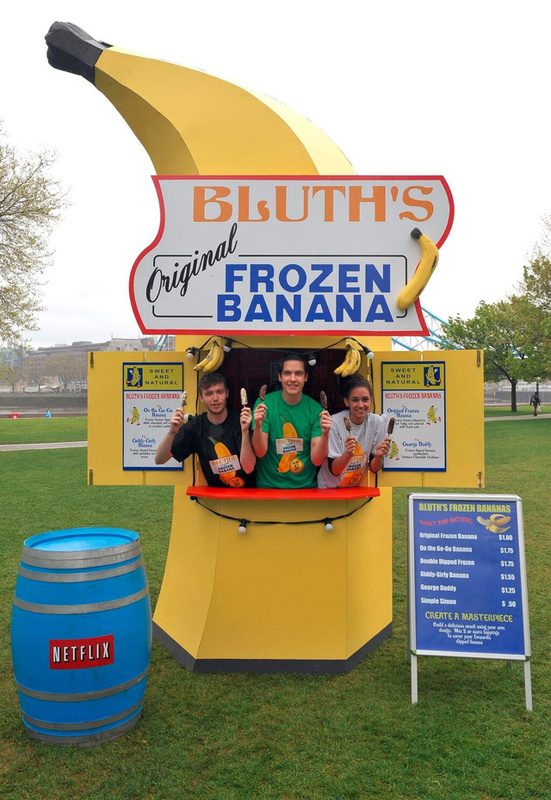 But if you missed the Bluth's Original Frozen Banana Stand Tour (and finally realized you can't order from their Seamless page), celebrate the May 26th Netflix premiere with a menu worthy only of a Bluth party. Don't you dare call them jelly beans. Only if you really want your party to be off the hook. Lindsay would never, but your guests will probably appreciate the extra effort. 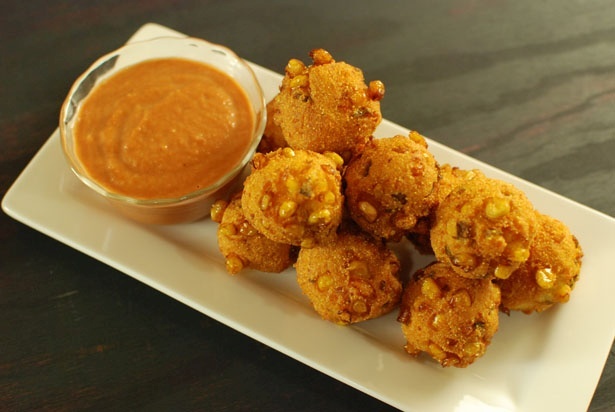 Made with cornmeal, corn, and jalapeños. And he didn't even have to go to Mexico for it. Step 1: Squirt mayonnaise into your mouth. Step 2: Eat a hard-boiled egg. They have mayonnaise in them, too, but Ann would likely never eat a deviled egg solely out of principle. So I guess mayoneggs are here to stay. Try one of these "40 Amazing Grilled Cheese Sandwich Recipes!" Or hey, make them all. You have 15 episodes to get through, and you know those mayoneggs probably won't sit well. Step 3: Add a potato. 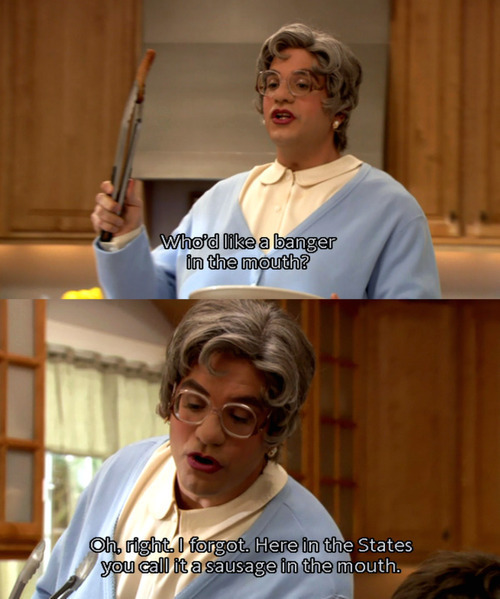 It's like everyone on Arrested Development has cooking down to 3-step-or-less science. Loaded with chicken, sweet potatoes, coconut milk, and curry. Make it. Eat it. You could be just two adults, gettin' a stew on, man. So, pretty much, just...put a sausage in your mouth. 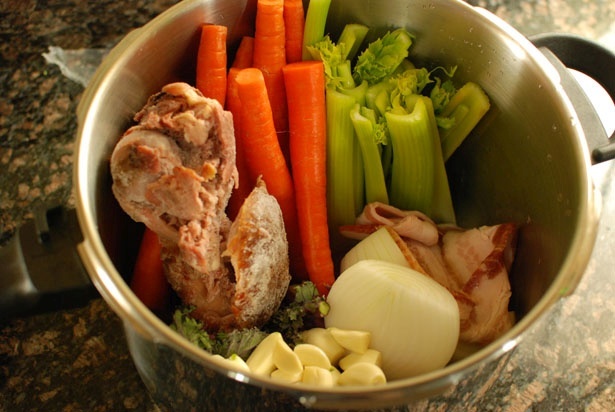 Or, just stick some tooth picks in some Vienna sausages and mash some potatoes and call it a day. Low carb, 14 grams of protein, and "once you're in, you're in for life." 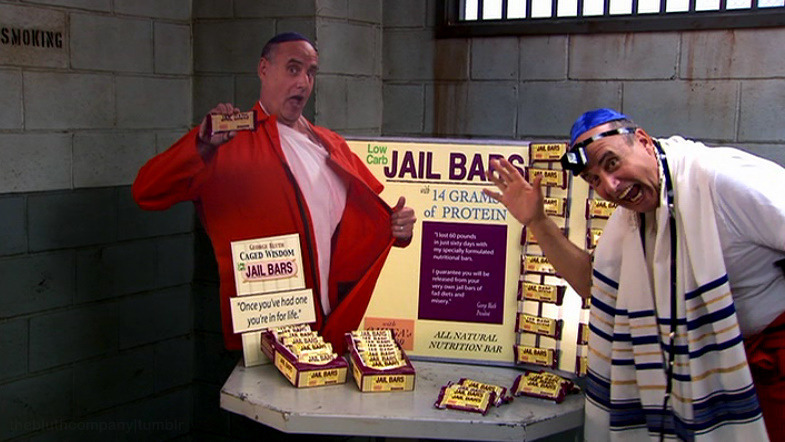 They may not be a Bluth family recipe, but hey, at least you don't have to eat them in jail, am I right? Okay, well not every variation, but you can try making one of Buzzfeed's "22 Ice Cream Sandwiches That Dared To Dream!" MMM. Almost good enough to make me forget I'm in love with my cousin*. *Not actually in love with own cousin. I feel I must specify that. 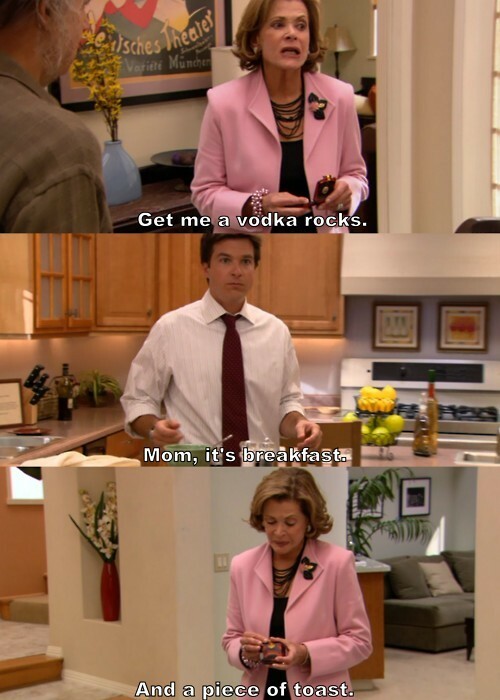 For more ideas, recipes, and printables for your Arrested Development Viewing Party, head this way. Thanks to all those who helped make this post possible, and thanks Netflix for returning Arrested Development to us on May 26th!